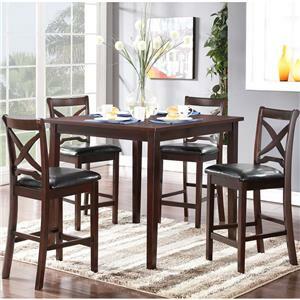 The center point of this round dining table is its elegantly turned pedestal base. 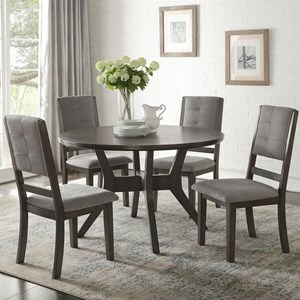 This table is large enough to comfortably accommodate four people while bringing a welcoming look to your dining area. 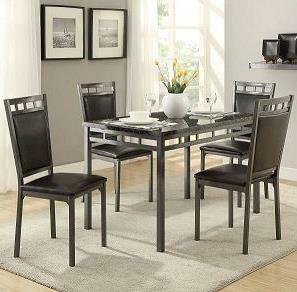 The side chairs bring a lovely mix of traditional and contemporary style to this dining set. 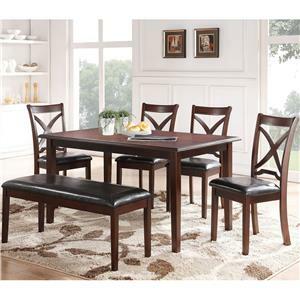 The Oratorio Five Piece Round Table & Chair Set by Homelegance at Beck's Furniture in the Sacramento, Rancho Cordova, Roseville, California area. Product availability may vary. Contact us for the most current availability on this product.